Advertising private caravan holiday hire on Static Caravan UK will increase your exposure by a substantial amount. One of the most important aspects of any web site is search engine and social media exposure, ensuring it can be easily found via a large selection of sources... and optimised for a broad range of media devices. 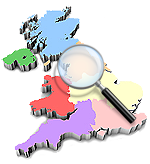 Static Caravan UK enjoys high ranking and placement on the majority of leading search engines such as Google, Bing, Yahoo and many others... In addition, prominent coverage on popular social media platforms such as Facebook, Twitter and Google Plus. Static Caravan UK provides a cost effective caravan hire advertising solution, currently just £50 per year for your first caravan (that's around 96p per week!) and just £25 per year for any additional caravans you may also wish to advertise. All accessible from a single easy to use administration area.